Cut costs—it’s a common corporate refrain. But if you constantly slash expenditures, what happens to innovation? How can you stay competitive and satisfy customers? 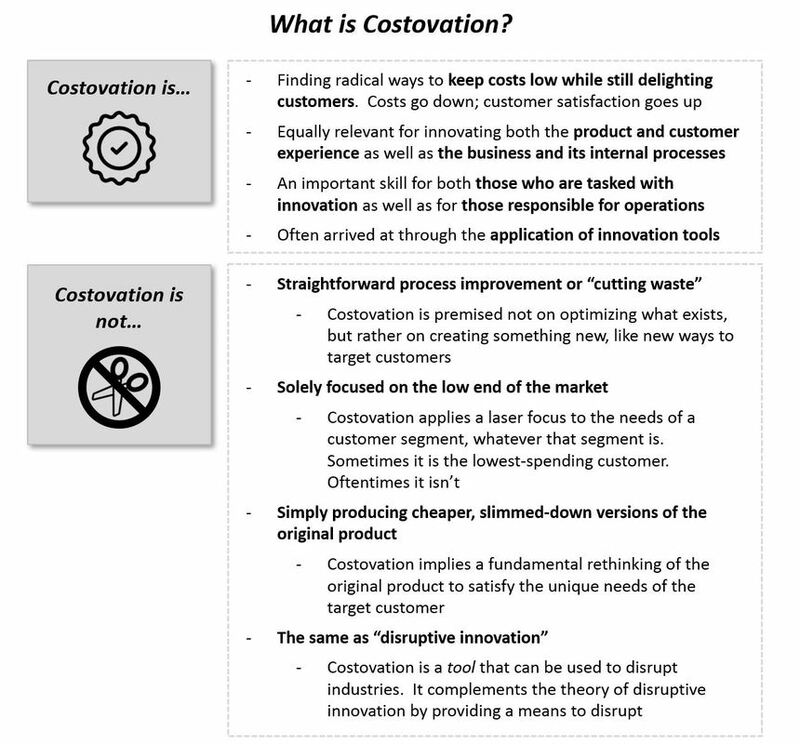 ​The award-winning book Costovation solves the dilemma of how to spend less and innovate more. The book’s revolutionary approach broadens the definition of innovation beyond products to the business model itself. With costovation, you let go of assumptions, take a fresh look at the market, and relentlessly focus on what customers really want. Consider Planet Fitness—it grew to 10 million members by concentrating on casual exercisers. Those folks don’t care about frills. They want easy, low-cost access to good equipment. Although it’s inexpensive to run, Planet Fitness ranks highest in gym satisfaction. Gourmet grocer Picard sells only frozen food. With less perishable inventory, they compress costs while delighting a discerning but busy clientele. Packed with examples and interactive exercises, the book explores cost innovation strategies that work for big and small companies alike. From open innovation and cost-sharing to simplifying products and turning waste into new offerings—readers learn how rivals are carving out niches, protecting positions, and dominating industries. Innovation and cost-cutting are not opposites. Combined, they expose untapped opportunities to outsmart and underspend competitors. 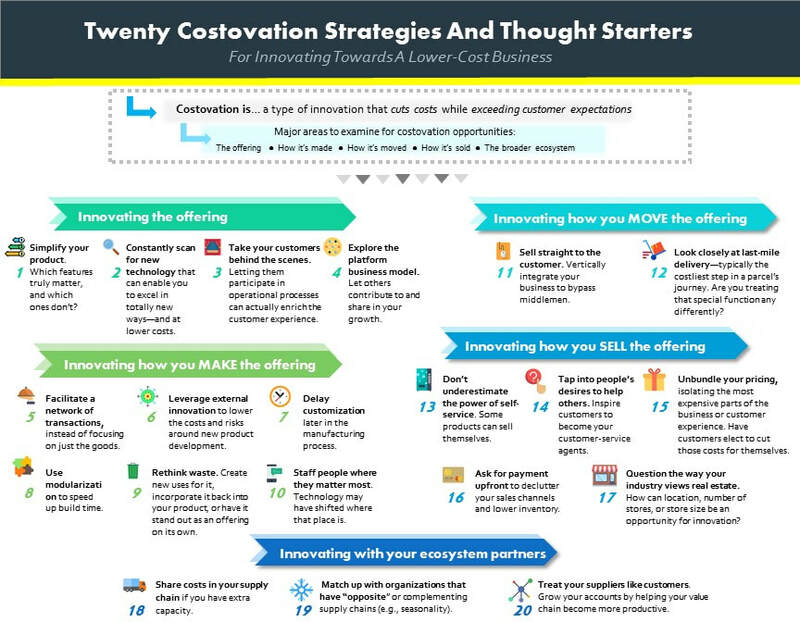 "[Costovation] puts wheels to the road when it comes to innovation by providing clear-cut examples. It’s a good book that forces entrepreneurs to think without feeling like heavy-handed, dry, PhD-like research...Specific examples make the book worthwhile and should spark the imaginations of even the most unsure entrepreneurs regarding where they can apply innovative processes...Read Costovation to gain insight into exciting ways to use the right innovation to be profitable for the long haul." "Being “low cost” and being “innovative” are two universal aspirations, but there is exceptionally little information about companies that satisfactorily do both. Costovation is brimming with guidance on how to apply innovation principles deep within your business, helping you both nail your market and shield against competitors." "Costovation is a must-read if you are looking to beat the cost curve and build businesses that deeply resonate with customers without breaking their wallets. It is bursting with new case studies, step-by-step processes, and practical applications." 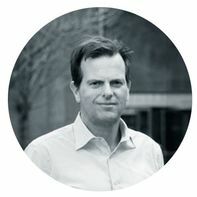 "I have found Costovation to be the first book to bring together affordability and innovation with such a focus and in an easy-to-apply context that can work for companies large and small. Based on their extensive research, the Authors reveal patterns behind the glitzy successes and thus show leaders and innovators how to make it happen in their organizations." "The fast-paced world of delivering quality workplace health and wellness services is both rewarding and complex, and we are constantly thinking about how to maintain our disruptive innovation advantage. Costovation provides us with the roadmap to do so, helping us to exceed our customers’ needs by rethinking price, value, and delivery models. A must-read for each of us that desires to create true meaningful and sustainable value."